Membership in the Allied group is vital to the success of the pork industry in the state. The continued support provided to Nebraska’s pork producers is much appreciated. Allied members’ commitment and support for the industry is displayed to producers, educators, industry leaders, and many others in various ways through your membership. Plus, the benefits companies and individuals receive as an Allied member are great! Your membership in the Allied group is vital to the success of the pork industry in the state. Your commitment and support for the industry will be displayed to producers, educators, industry leaders, and many others in various ways through your membership. Look below to see other awesome benefits you will receive as an Allied member. The Nebraska Pork Producers Association has three tiers of sponsorship for the Allied Membership Program. These three tiers allow for members to make an one-time payment to Nebraska Pork Producers Association sponsored events. Register online whether you are paying with check or credit card. 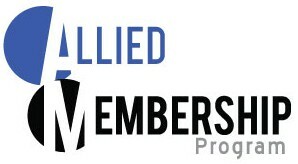 Become an Allied Member today. Build a network of industry professionals involved in the pork industry and providing an increased level of service to the Nebraska pork producers – now, that’s priceless! Contact Sandra at sandra@nepork.org for more information.